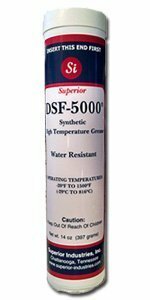 High Temperature Grease | Extreme High Temperature Grease | Superior Industries, Inc.
DSF-5000® is a “Technically Advanced” synthetic grease designed for use on equipment where constant operating temperatures can reach 1500° F / 815° C, and even higher intermittently. DSF-5000® does not contain clay based thickeners and will not bake out, melt out or carbonize in severe high temperature conditions. DSF-5000® is an NLGI Grade 1.5/2 grease and is packaged in standard cartridges as well as bulk containers. Synthetic di ester based grease for extreme temperature grease applications. DSF-5000® is designed for applications where conventional greases are not acceptable. DSF-5000® does not contain clay based thickeners or other compounds that contribute to “bake out” or carbonization. DSF-5000® is a NLGI Grade II grease and designed for use in conventional greasing equipment such as pneumatic and hand operated lubricant applicators. DSF-5000® is a high temperature synthetic grease that is specially formulated for applications where extremely high temperatures can meet or exceed 1500°F (815°C) and even higher temperatures intermittently. 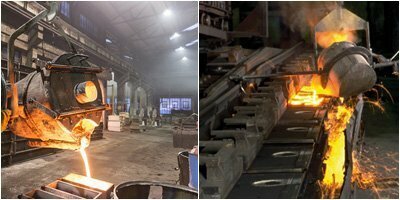 DSF-5000® is recommend for use in many types of high temperature bearing applications, valve applications, conveyor, kiln, table bearings used in foundries, oven door latches, damper controls and many other industrial areas. DSF-5000® is not recommended for use under extreme heavy loads or in extreme high speed bearings. The following list represents some of the many uses for DSF-5000®. Valves: DSF-5000® has been proven to be extremely effective in lubricating valve components used in extreme high temperature lubricant environments. Kilns: DSF-5000® is excellent ultra hi temp grease for lubricating kiln car wheel bearings, hinge pins etc. It provides for long term lubrication and does not bake out or carbonize. Bearings: DSF-5000® is excellent for slow speed bearings where load capacities are not extreme and hi temperature resistance is critical. 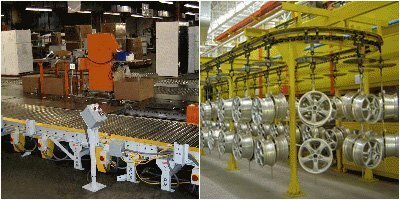 Moulds: DSF-5000® is an excellent mould lubricant/release agent in most mould operations. It exhibits long term stability in ultra hi temp grease applications, where most lubricants can bake out and carbonize. 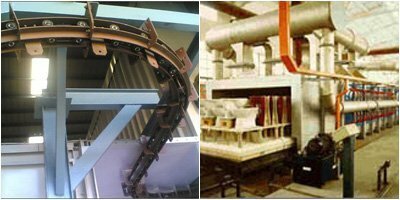 Oven Conveyors: DSF-5000® is excellent for lubricating slide bearings, roller assemblies, hangar assemblies, conveyor rollers and other internal parts where high temperature resistance and proper ultra high temp lubrication qualities are crucial. DSF-5000® has been determined to eliminate most mechanical failures and reduce downtime caused by improper lubrication in a ultra hi temp greasing environment.